2017 Sylvan 8520 Mirage Cruise Just in and ready for you! 2017 Sylvan Mirage 8520 Cruise w/accent stripe powered by a 60hp Mercury 4 Stroke EFI Command Thrust Engine. Ready for all day comfort and long summer evening cruises on the water. 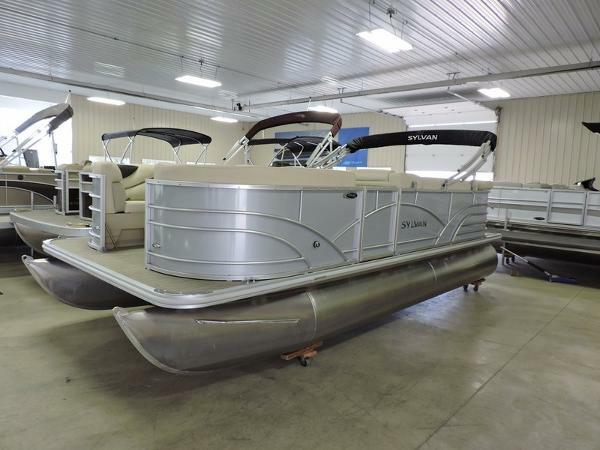 Spacious and luxurious, the Mirage 8520 Cruise pontoon boat comes equipped with premium Sylvan features and beautiful style. The Mirage 8520 Cruise offers the performance you expect from a Sylvan pontoon boat, and plenty of space to kick back and relax. 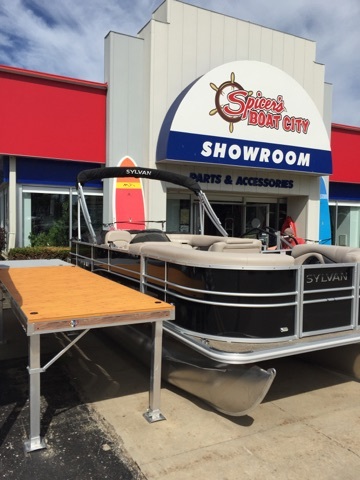 Some of the options included with this package are: Full Sea Weave Flooring, Playpen Cover, Changing Room, Bimini Top, PRV19 Radio w/Bluetooth, Gauge Package, 5 Step Aluminum Ladder, White Oval Table, and more! 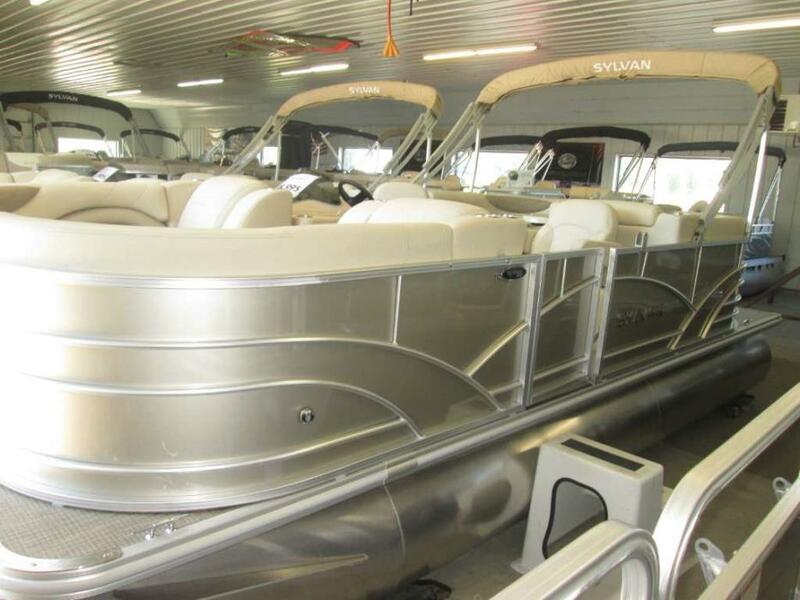 Get the looks and quality of all the high end boats at a reasonable price! Stop in today or contact us for more information on this model or on any of our in stock new or used models. 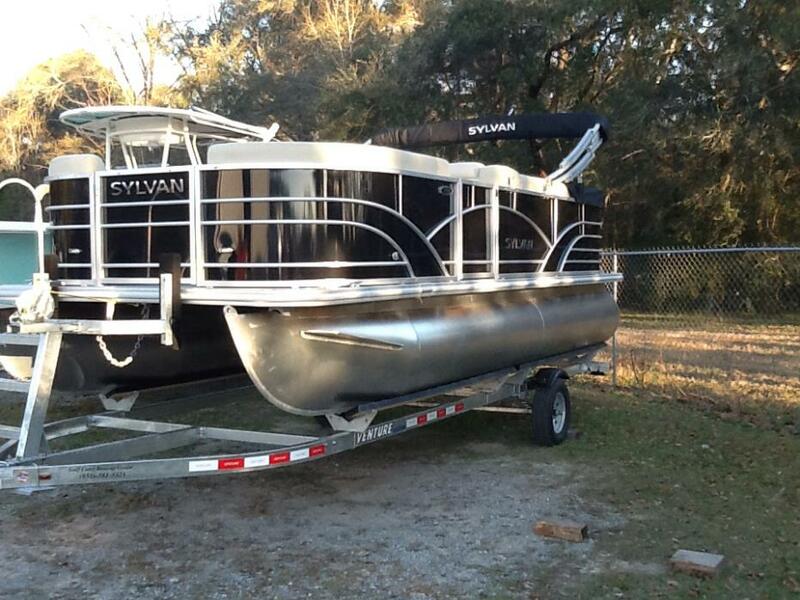 2017 Sylvan Mirage 8520 Cruise, 2017 Sylvan 8520 CR. Founded in 1948 and built to last for years. 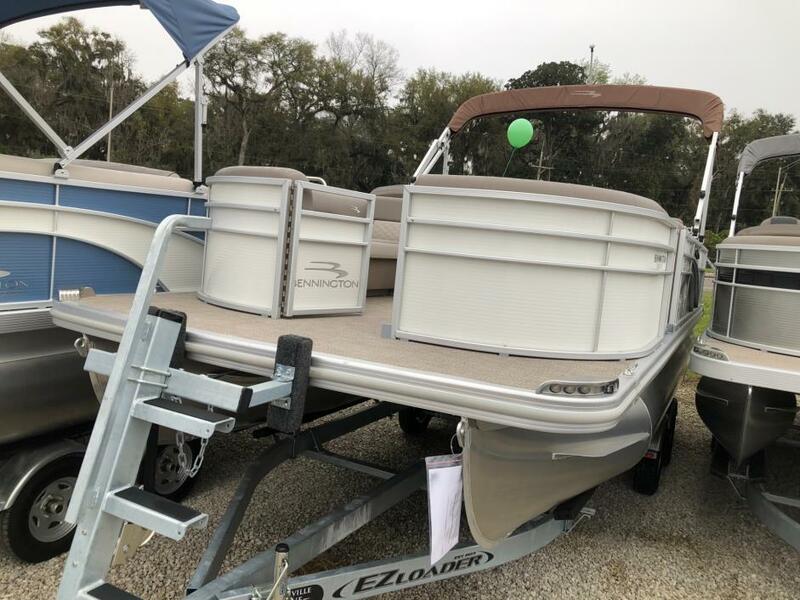 This boat has the following factory options: playpen cover, vinyl floor, extreme steering upgrade, 10' Bimini top, torcello steering wheel upgrade. Home of drive a little save a lot. 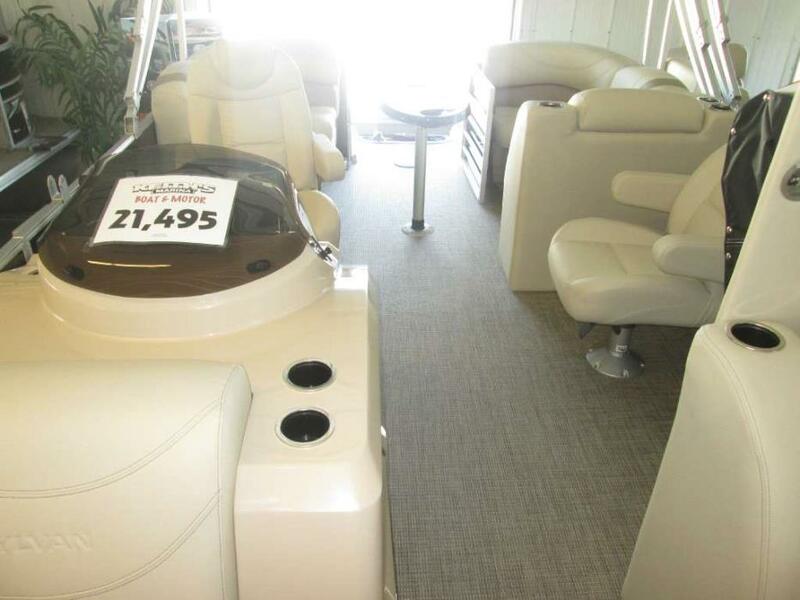 2016 Sylvan Mirage 8520 Cruise The Mirage series offers a wide range of models. From feature-rich luxury cruisers to our value packed economy models, we have the boat for you. Mirage offers both fishing and cruise models, each are available in rear entry and sun deck floor plans. 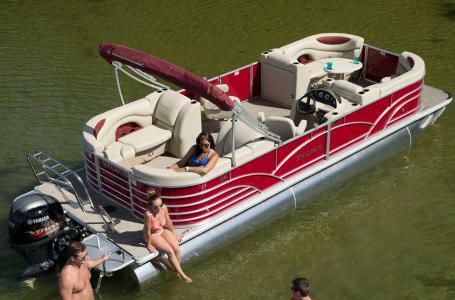 Like all Sylvan pontoons, the Mirage series is packed with super features like custom molded dashes, full featured sound systems, form fitting contoured lounge seating, and much more. Compare the Mirage series with other brands and you'll see why it is the best overall value on the water today. 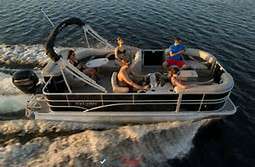 2017 Sylvan Mirage Cruise 8520 Cruise LZ, Just Arrived New look for 2017Come check out the new 2017 Sylvan 8520 Mirage lz with all new seating and gating.This is one sharp boat comes with Mercury 40 el 4 stroke efi engine. 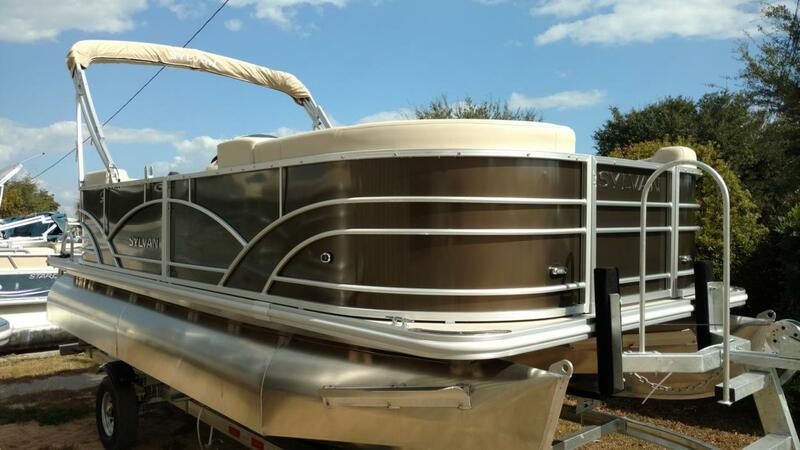 2017 Sylvan Mirage Cruise 8520 Cruise LZ, 2017 SYLVAN 8520LZ WITH CARIBOU BROWN SIDE PANEL COLOR.POWERED WITH YAMAHA 90 4-STROKEFACTORY OPTIONS INCLUDE RPT PONTOONS WITH SPRAY SHIELD, FULL VINYL TAUPE FLOORING, 10' BIMINI TOP WITH BOOT, 5 STEP AFT BOARDING LADDER, PLAYPEN COVER, HIGH BACK HELM AND COMPANION SEATS, TORCELLO STEERING WHEEL.PLEASE CALL FOR PRICE. 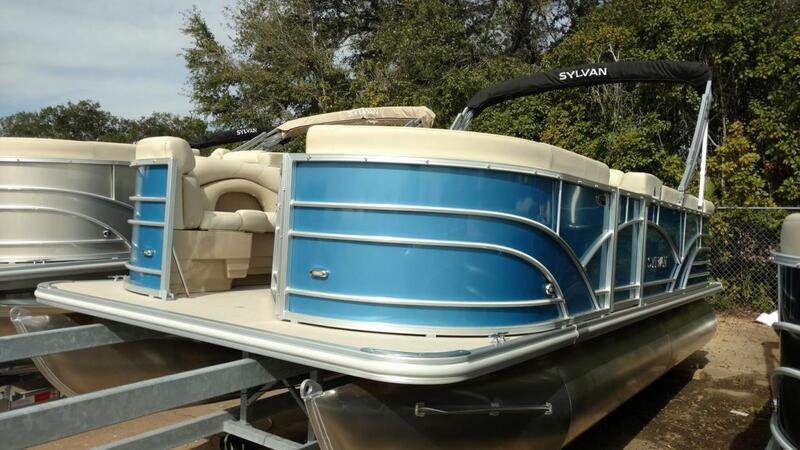 2010 Sylvan 8520 Mirage Cruise The Mirage series offers a wide range of models. From feature-rich luxury cruisers to our value packed economy models, we have the boat for you. 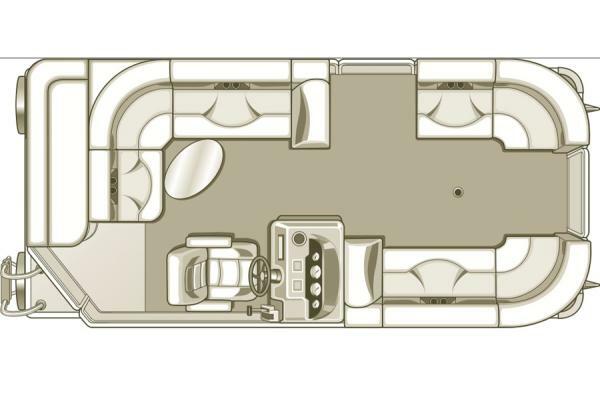 Mirage offers both fishing and cruise models, each are available in rear entry and sun deck floor plans. 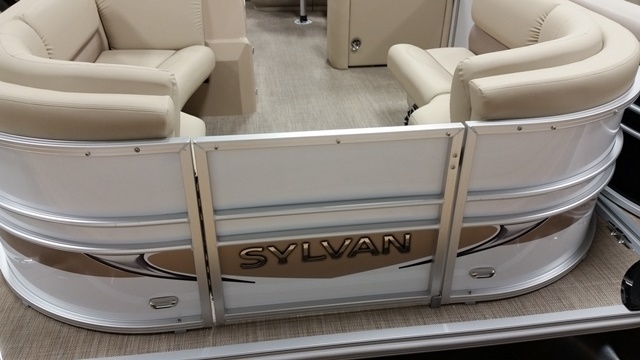 Like all Sylvan pontoons, the Mirage series is packed with super features like custom molded dashes, full featured sound systems, form fitting contoured lounge seating, and much more. Compare the Mirage series with other brands and you'll see why it is the best overall value on the water today. 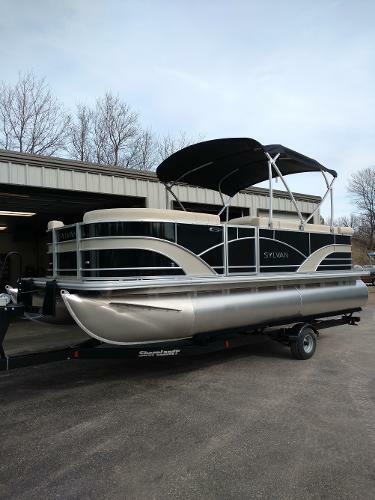 2017 Sylvan Mirage 8520 Cruise LZ, 2017 SYLVAN 8520LZ WITH CHAMPAGNE SIDE PANEL COLOR.POWERED WITH YAMAHA F115 4-STROKEFACTORY OPTIONS INCLUDE RPT PONTOONS WITH SPRAY SHIELD, FULL VINYL TAUPE FLOORING, 10' BIMINI TOP WITH BOOT, 5 STEP AFT BOARDING LADDER, PLAYPEN COVER, 2 X HIGH BACK HELM SEATS, BLUETOOTH STEREO ANDTORCELLO STEERING WHEEL.PLEASE CALL FOR PRICE.